new media. new ideas. : Coors Light Cold Activation Program - Cool Program for Ice Cold Beer! 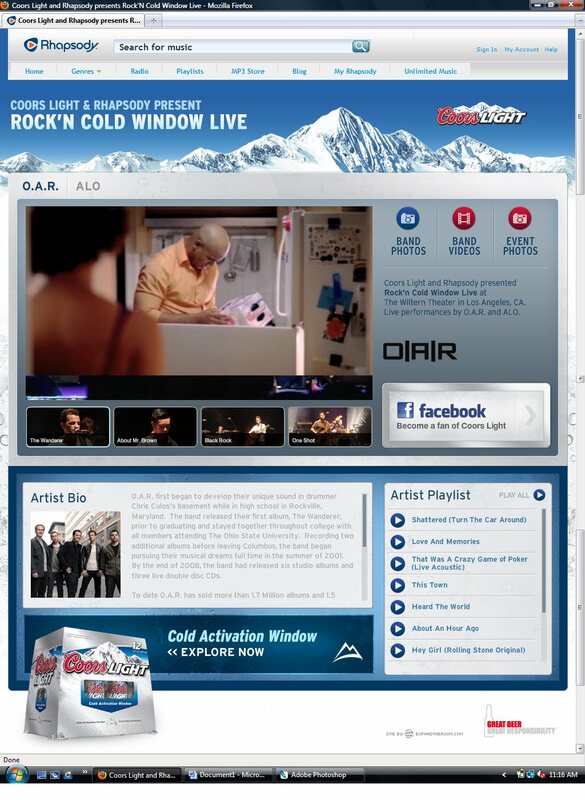 Coors Light Cold Activation Program - Cool Program for Ice Cold Beer! Over the years I was fortunate to work with the Miller Coors team at Avenue A on the Coors Light brand. Beginning with a sponsorship of distinct independent music performances that we taped in studio, and then brought online, the Coors team expanded their scope in support of music year after year. Obviously, it works. This year the crackerjack account team of George Carney and Staci Parlari parlayed their solid relationship with the Coors team into a season-long series of music initiatives and impactful media programs. Starting back before Memorial Day weekend, this year’s program included a live event with full content capture in Los Angeles, featuring notable jam band, OAR headlining at the Wiltern. This event coincided with the launch of Coors Light new packaging initiative, the ‘Cold Activated Window’, allowing consumers to ‘see’ if their beloved beer is at optimal consuming temperature. At the event, Coors Light flowed on tap, while LA music fans enjoyed a free music experience from our friends at Miller Coors - experiential marketing consisted of Coors street team, signage and a distinct branded presence that made it all seem seamless. 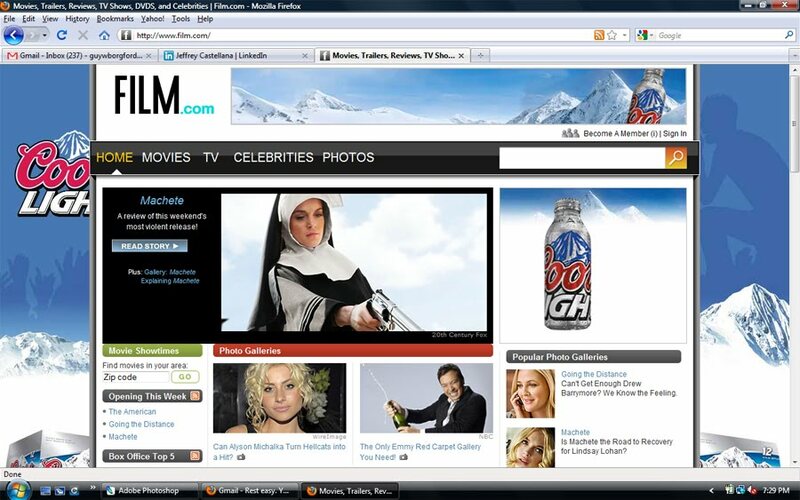 Media included site takeovers on key Coors Light dates, including, Memorial Day and Labor Day weekends, with a focus on music and entertainment lifestyle properties, including Film.com [shown here]. This was a great example or thinking beyond digital and into the minds and hearts of consumers in environments that best suit the brand and what it’s about. Now, if you're reading this and it's after 5:00pm isn’t it time to enjoy some Cold Activated freshness yourself?